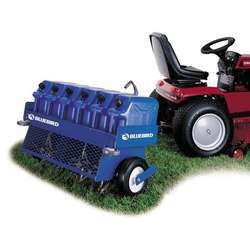 The Bluebird Walk-Behind Aerators offer the highest productivity without damaging the turf. Removable weight bars allow for Improved ground penetration. Lifting handles make transport a breeze. Free wheeling tines (on models 530 and 742) allow for tight turns without tearing the turf. 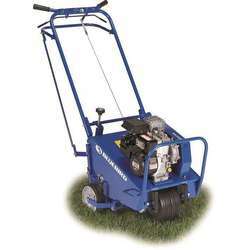 Consistent control of aeration with a maximum depth of three inches. 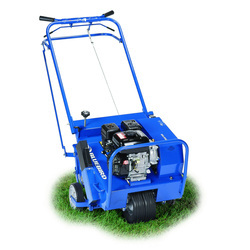 Bluebird aerators give you precise, consistent control of coring. With a depth of up to 3", you'll reach even deep set roots for maximum benefit. 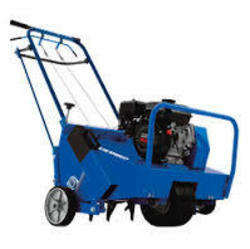 Free-wheeling outer tines, available on the 530 and 742 models, allow users to continue aerating while turning tight corners with minimal turf damage. 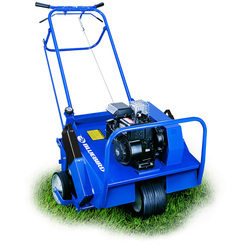 The Bluebird Towable Aerator is ideal for commercial areas and large residences. Two independent tine rotors with interchangeable closed spoon 1/2" tines provide superior maneuverability around corners and tight areas. A rugged design offers you years of low maintenance productivity. 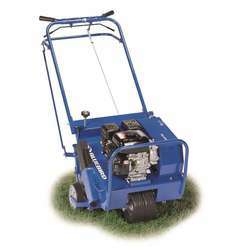 Tip Wheels: Tip wheels allow the towable aerator to easily pass through narrow openings. 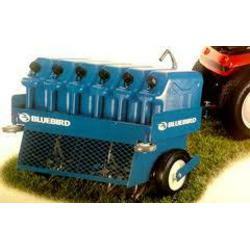 Optional Weight Containers: Five optional weight containers (5 gallon capacity each) ensure optimal soil penetration.